- Subject: Study and Diffusion of the Principles of Amateurism and Revival of the Olympic Games. 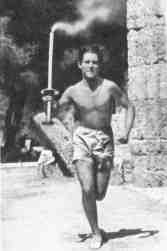 - First Modern Olympic Games held in Athens. - The Olympic Hymn of 1896. The text is by Kostis Palamas, the music is by Spyros Samaras. 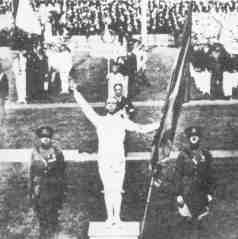 It was presented for the first time in the opening ceremony of the first modern Olympic Games. - First female winner: Charlotte Cooper of Great Britain in singles tennis. enough money left to mint them in gold. - Introduction of athletes parading during the opening ceremony behind their national flags. 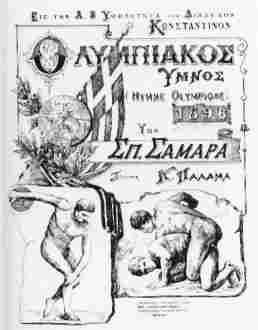 - The Olympic Charter was first adopted in 1908. - First Marathon distance, 26 miles 385 yards; 42 km 195 m.
- Photo finish equipment first used in close finish track events. - Introduction of athlete carrying a sign with the name of the respective country on it. - First Olympic Arts festival. 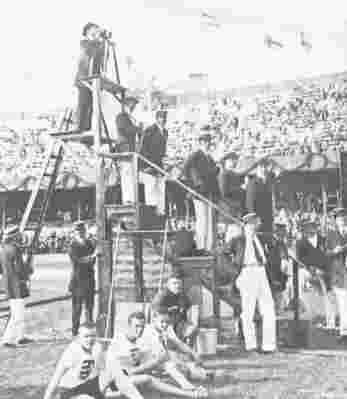 - Olympic flag first flown at Games 1920 in Antwerp. - Coubertin represent the flag on the Olympic Congress 1914 in Paris. - The honour of swearing the first oath fell to the Belgian polo player an fencer Victor Boin. at the opening ceremony as a symbol of peace among nations. 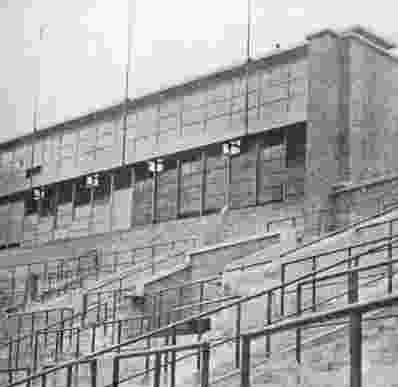 - In 1924 for the first time, the Games returned to a former venue. 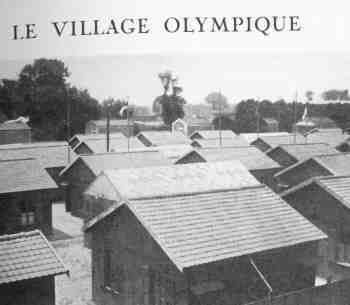 - The Paris Games were the fist to have an Olympic Village for the athletes. - Olympic motto first officially used. adopted in the 1924 Paris Olympic Games. 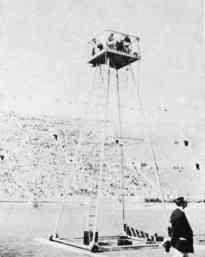 - 1924 - Technology begins to win a place at the Olympic Games with the event's first live radio broadcast. 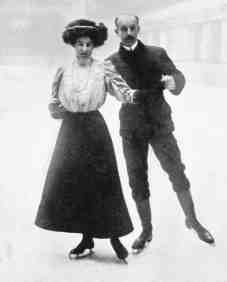 - First Olympic Winter Games held in St. Moritz. - Olympic flame burned at the stadion for the first time ever. - First introduction of large results board. The objekt of a score board was to publish the results of the events immediately. - Women allowed to compete in track and field events. - First time Greece led parade of nations. - Slow-motion film techniques used to judge close finishes; women's track and field competitions held for first time. - The photography rights were sold to a commercial firm. - Introduction of three-tiered victory stand. (U.S.) was the gold medal winner. by telex, and newsreel film was rushed abroad via zeppelins. - First Olympic torch relay. - Fanny Blankers-Koen of Netherlands is first woman to win 4 gold medals in a single Games. the closing ceremony en masse for the first time to signify the friendship of the Games. boycotts, the summer Games held later that year in Rome were the first to be fully televised. - Time keeping and photo finish officially used. - First live colour pictures. Opening ceremonies broadcast via satellite to U. S. for first time. computer technology into the Olympics Games. - Fosbury flop first seen. - Oath for judges introduced. them, in the spirit of sportsmanship". - First woman oath, Heidi Schüller, Germany. - Anabolic steroid testing introduced. - Professionals allowed to compete in the Games. Olympic Games medals in the same year. She competed in speed skating and cycling. website received 189 million hits. - Steven Redgrave became the first rower to win gold medals at five consecutive Olympic Games. Sydney escalated to 11.3 billion.